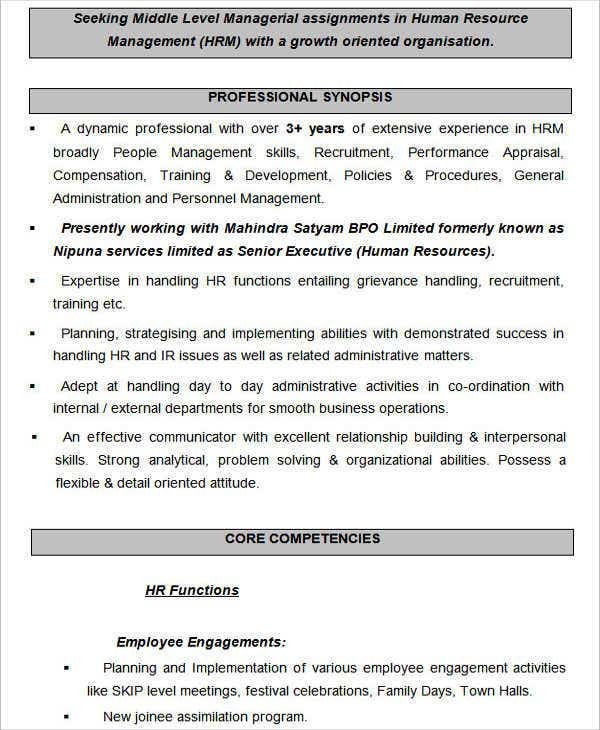 There are different kinds of Resume Formats that you can use in writing your HR resume. 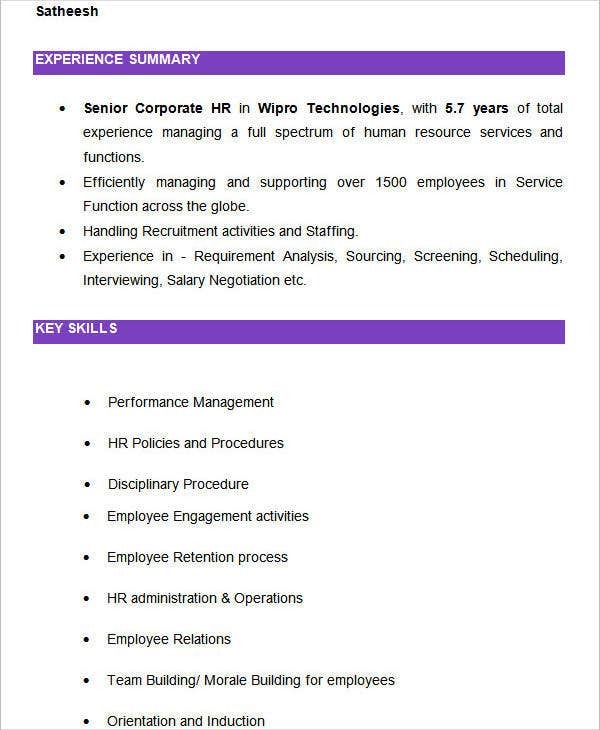 The human resources jobs include various positions such as HR manager, HR directors, benefits administration specialists, etc. 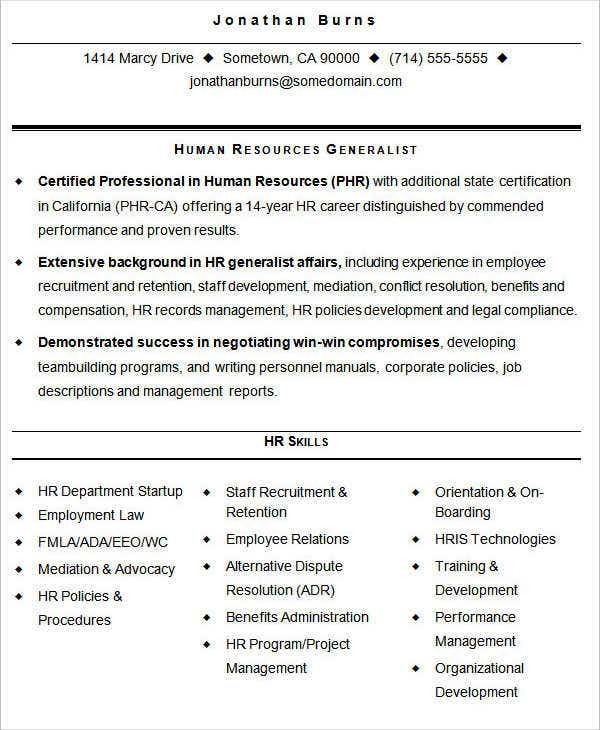 Your choice of format in writing your HR resume will depend on what role you are planning to apply for. For example, if you are applying for HR Director, using a skills-based layout, which will help the prospective employer to see what your skills are as a director, would be the best layout to follow. 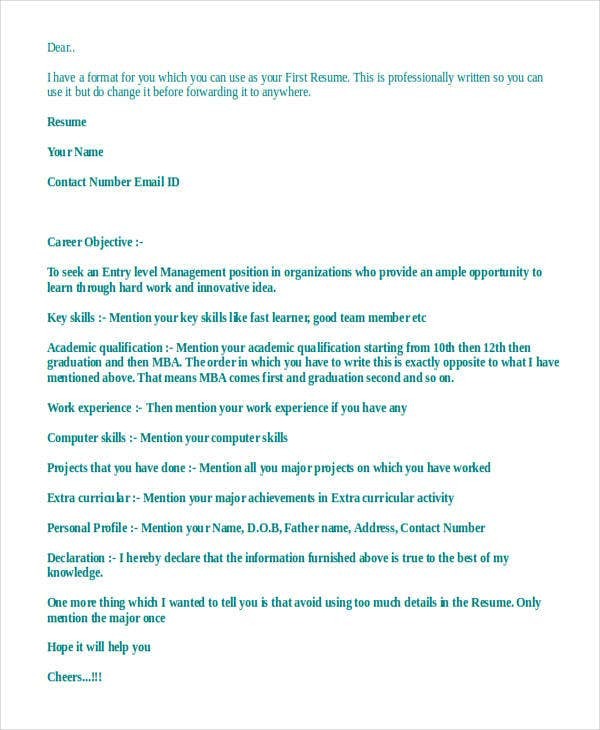 Before venturing into your writing read through this article for helpful tips and more samples from Template.net that could help you in creating your resume.You may also see professional pesume template. 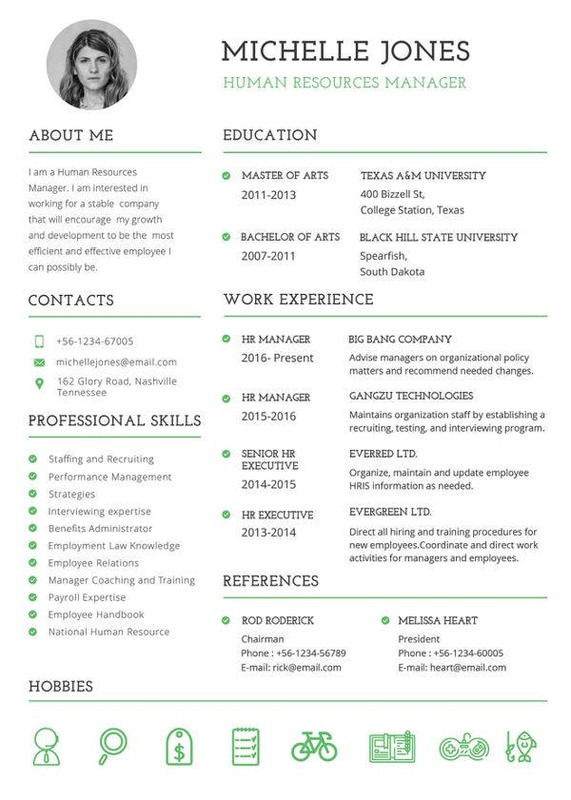 After countless hours of research and planning, try to familiarize yourself with writing a Basic Resume Template before you start off with writing yours. 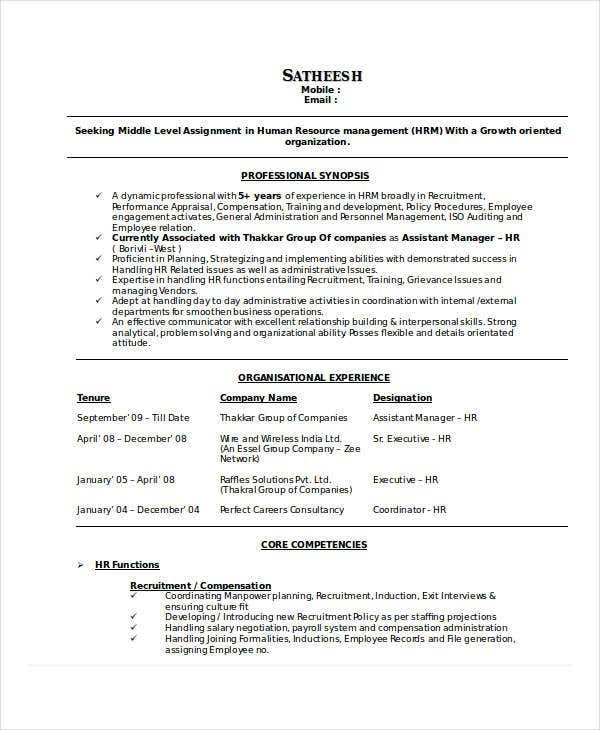 Deciding on which format to follow and gathering all the relevant details and documents that would support the content of your resume, you are now able to start in writing your resume. Your information. Before you start writing the nerve-racking content of your resume, you must never forget to indicate your full name, return address, and contact details (landline and/or mobile and e-mail address). 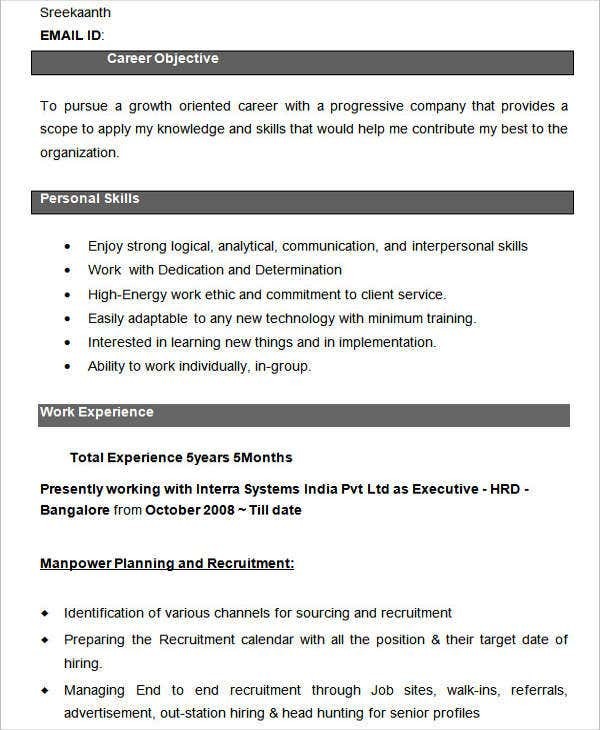 It is important that the receiver knows who sent the resume. 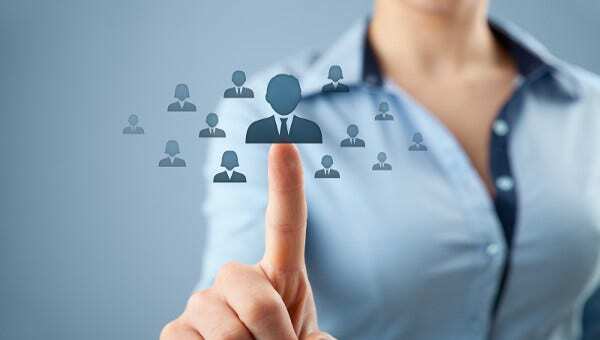 It also allows the potential employer to contact you conveniently if they want to call you in for an interview or to clarify some parts of your resume. Objective. When writing your objective, you must indicate a concise but clear and complete summary of your career goal and your best qualifications. Create a summary statement that allows you to advertise yourself to your potential employer. Qualifications. 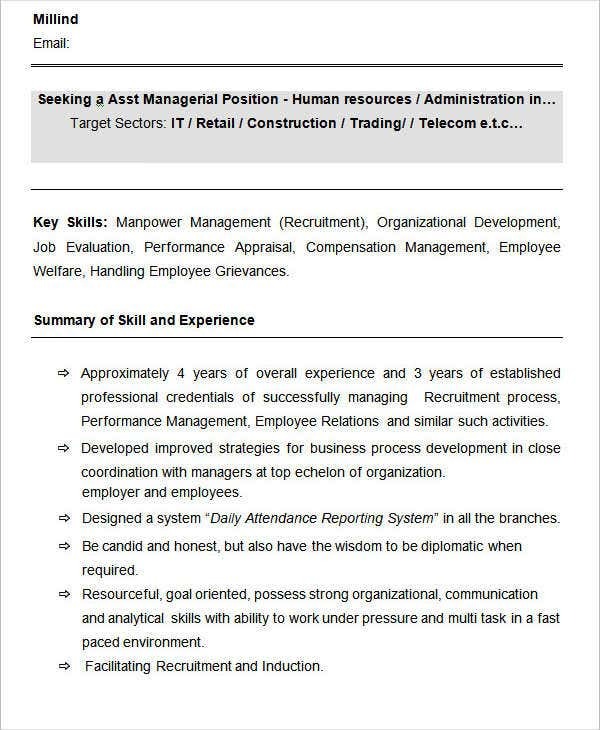 Indicate any qualifications that are relevant to the role you are applying for. Experience. Indicate your working history in a neat and concise bulleted layout, complete with the name of the establishments and years or months attended. Highlight the achievements you have attained to show to your potential employer what kind of career progression you are heading for. Educational background. Following the same format of your working experience, indicating your achievements and extracurricular and project programs involvement allows your potential employer to see a glimpse of how you are as a part of the community. Skills and strengths. When writing about your skills and strengths, try to avoid using superfluous words. You have to be able to prove to your employer that what you have claimed to be your strengths and skills are executable. It is the part where you could show your employer the contributions you can offer for the open position. 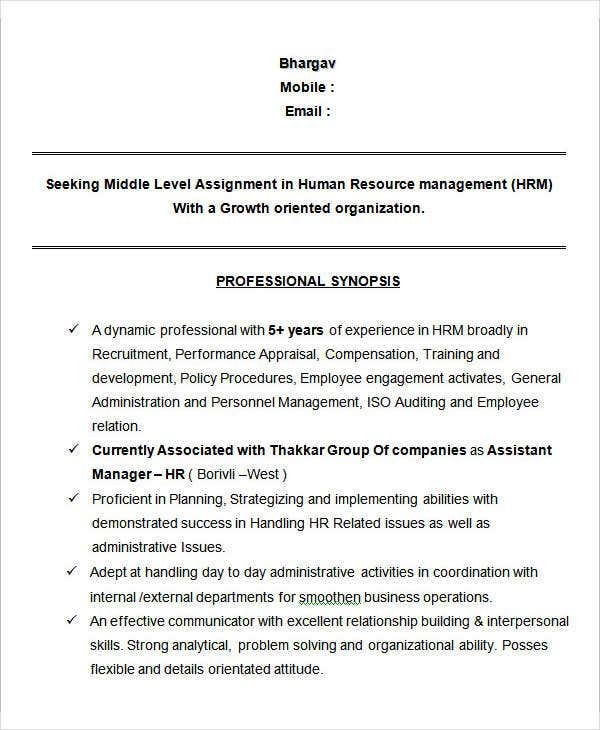 After going through samples and more details on HR roles and resume making, if you are still unsure on the roundabout of writing your resume, above and more from our website are samples provided for you to download for free in PDF and Microsoft Word format to use as a reference material. 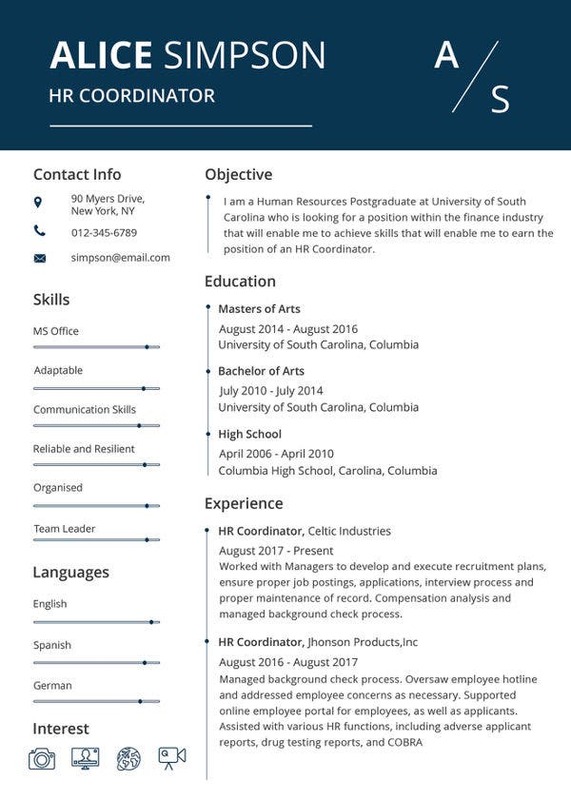 If you are just like the many job seekers out there who want to write the best resume, check out our Best Resume Format to see various samples.